Just when we think Rihanna can’t get any hotter, she drops another bomb on us. This time it’s the upcoming launch of her next bound-to-be-bestselling Fenty Beauty product, Body Lava. Teasing us with the hashtag #WhoNeedsClothes, the singer, actress, and beauty and fashion mogul took to Fenty Beauty’s Instagram on Monday night to give us a demo of how to apply her new liquid body shimmer to a bare shoulder—using the body brush we’ll undoubtedly also need to purchase, of course. Of course, Rihanna has timed her newest release to coincide perfectly with the start of sundress season, which not only is a strategic move but also leads us to believe that we can expect a smudge-proof, sweatproof, all-day shimmering finish. I guess we’ll find out in 11 short days (yes, we’re counting), when we scratch and claw our way to the Fenty shelves at Sephora (there’s more than one way to suffer for beauty). 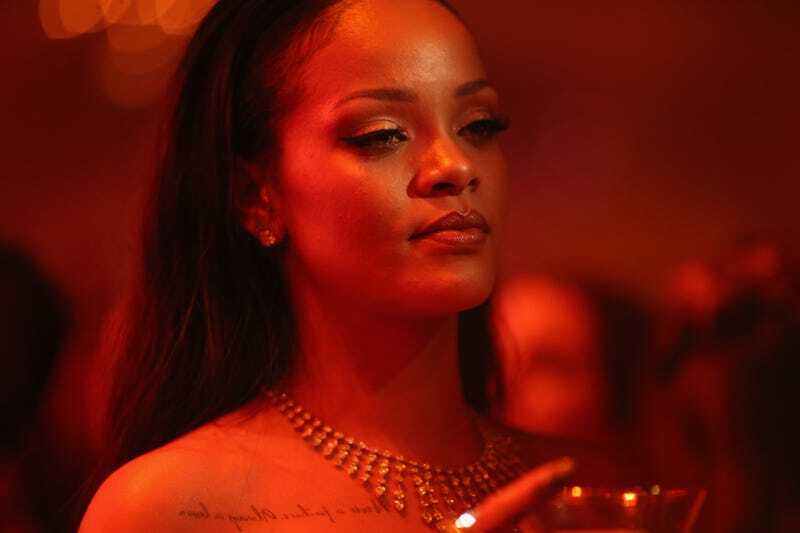 But if “Bad Girl” RiRi is this excited, we’re betting on another hit.